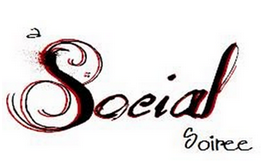 You are here: Home / Great Deals / New Social Soiree Sponsors! As y’all know I am on the road to San Diego right now where I will be attending a blogging conference as well as hosting A Social Soiree. Y’all also know that I’m part of a group of blogging friends hosting an event to pay it forward to other bloggers and help them meet some great brands, so they can make some sweet deals to pass on to their readers! I have told you about our wonderful sponsors and now we have even more sponsors! Recently, we were contacted by the San Diego Convention and Visitor’s Bureau. As the official point of contact for people wanting to visit San Diego, the San Diego CVB has established relationships with businesses that will help you have a wonderful visit. Whether you’re looking for a hotel, restaurant, transportation, family-friendly attraction, romantic dining or free events, the San Diego Convention and Visitor’s Bureau should be your first stop. Especially since their motto is Happy Happens! Shout is the number one stain remover on the market. This could be because Shout does their homework when it comes to stains. They believe in arming their customers with the information they need to remove virtually any stain. Shout can be used on any fabric that does not run or fade. Because Shout cares about what goes into your home, Shout is not made with any bleach or phosphates and Shout’s bottles are recyclable. With a company that cares this much about what goes into your home, I am sure the representatives for Shout will be ready to hear your thoughts on making their products even better. Have you heard of Tokbox? If not, you will. Tokbox is an amazing web application that allows you to make multi-party video chats without ever downloading anything! You can send video emails up to 10 minutes long. Tokbox is taking the video conferencing world by storm. Brueggers Bagels is a household name on much of the east coast and ever growing on the west coast. They have some awesome things on the menu – like the skinny zesty egg white sandwich w/savory turkey bacon and cheese on a delicious soft Bruegger’s bagel but these guys are not limited to bagels. Bruegger’s sells desserts like double chocolate cookies, 7 layer bars, everything cookies, and sugar cookies just to name a few. So, please take the time to visit our sponsors and learn more about them. Hopefully, I will come back with some amazing ideas and deals for y’all from many of them!